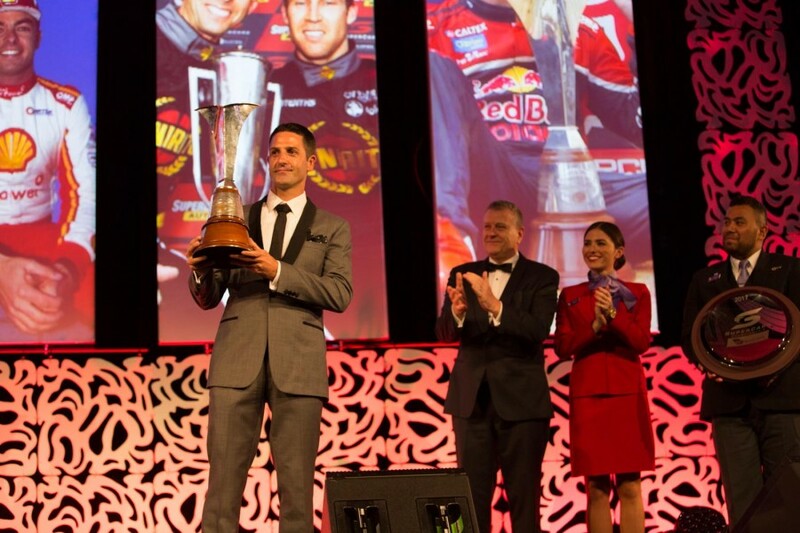 For the seventh time in 10 years, Jamie Whincup arrived at the Gala to pick up the Supercars Championship trophy. 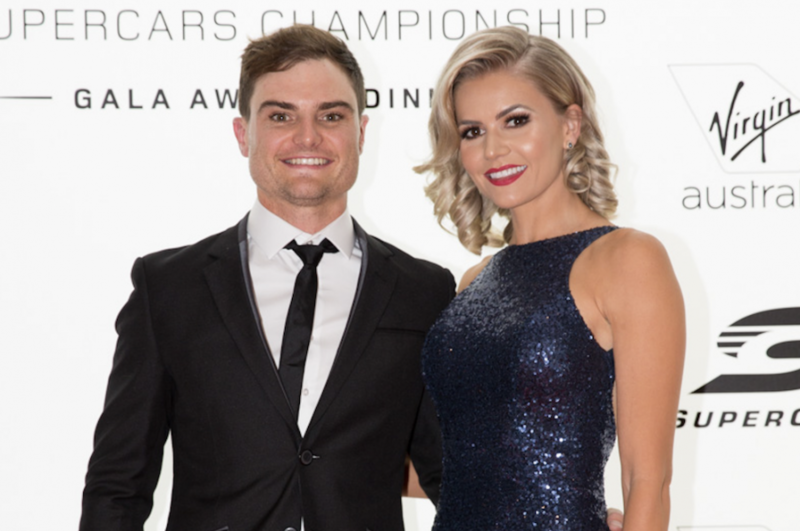 Scott McLaughlin, pictured with partner Karly Paone, was awarded ARMOR ALL Pole Champion and Most Popular Driver, with the latter voted on by the fans. 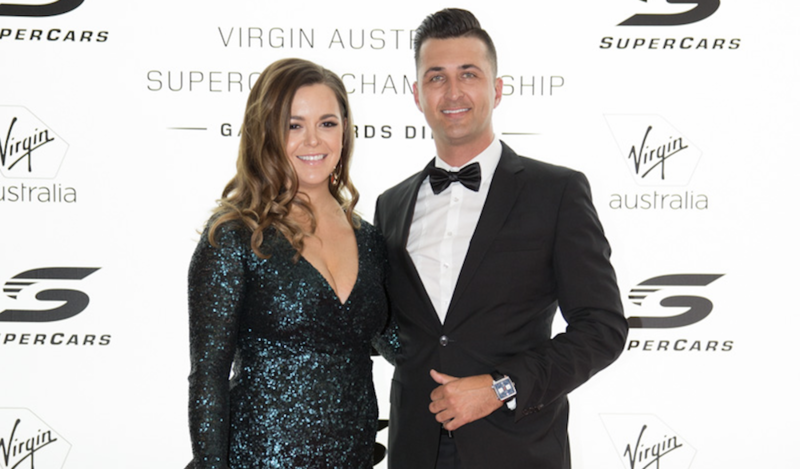 Fabian Coulthard with partner Becky Lamb, who gave birth to their twins in October as the Kiwi headed towards an eventual third in the championship. 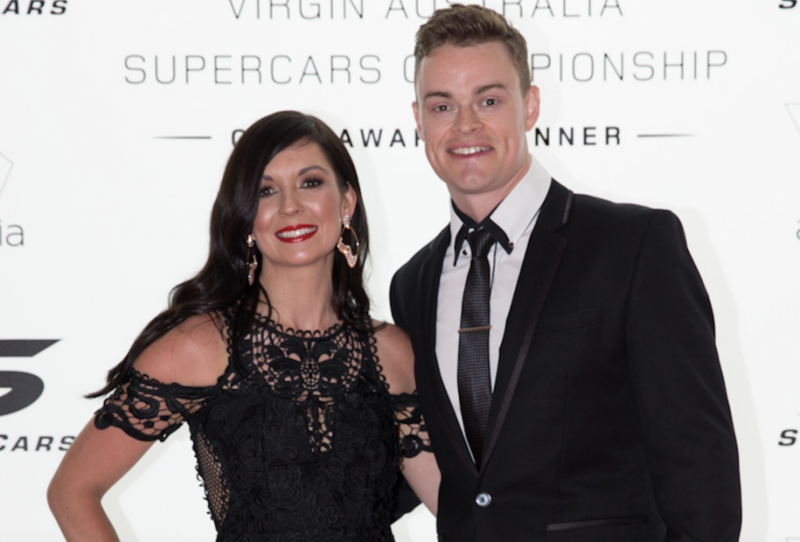 Despite a frustrating end to the season, Craig Lowndes was all smiles alongside wife Lara. 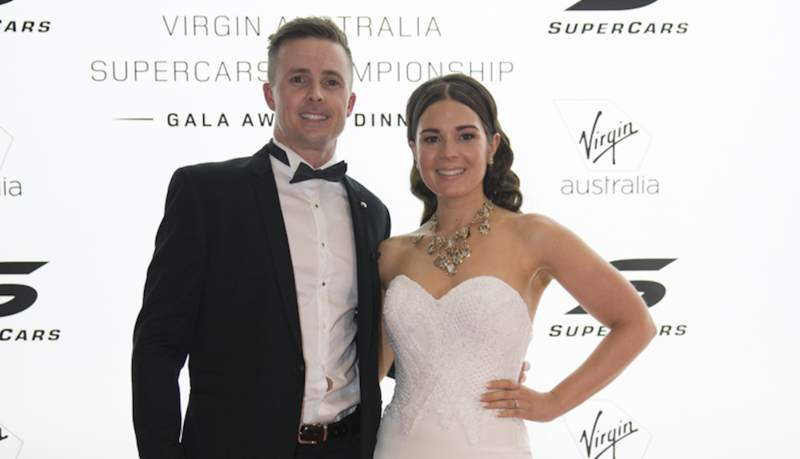 Mark Winterbottom and wife Renee on the red carpet following the 2015 champion’s run to sixth in points for a second successive year. 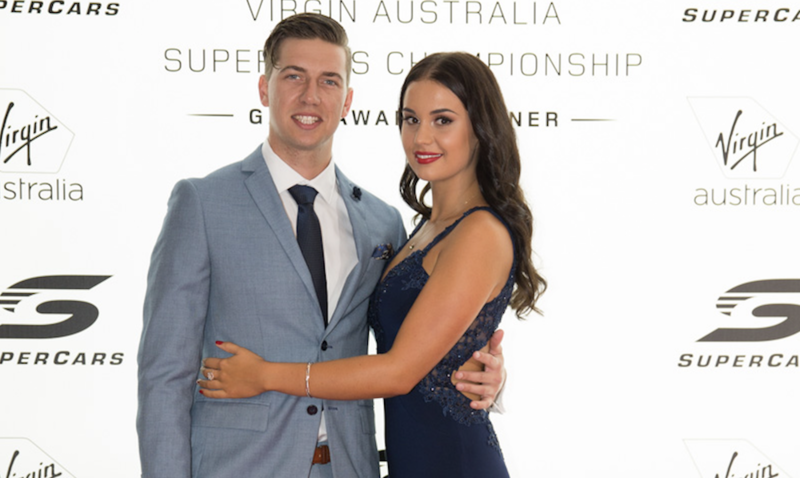 Chaz Mostert, who raced on the Macau and Newcastle street circuits on consecutive weekends, with partner Riarne Marwood. 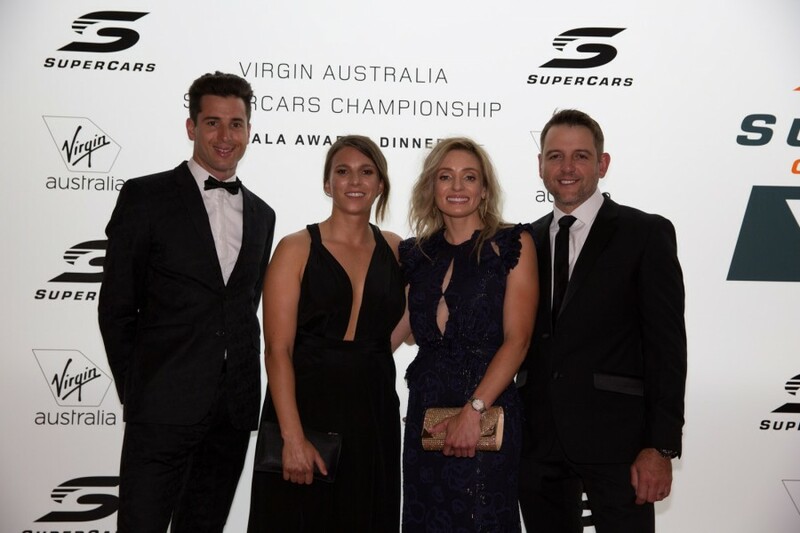 Rick Kelly and Simona De Silvestro alongside the retiring Todd Kelly and his wife, Kristy. 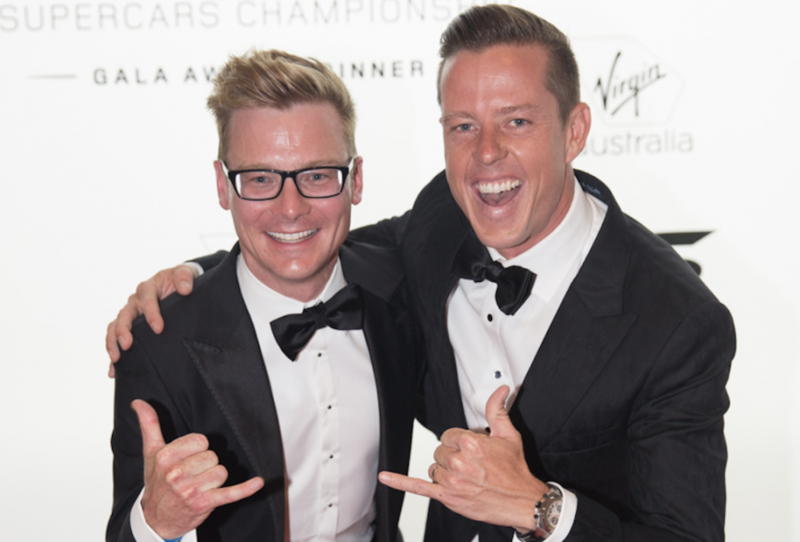 Mobil 1 HSV Racing duo Jack Perkins and James Courtney made it clear they were planning a quiet night. 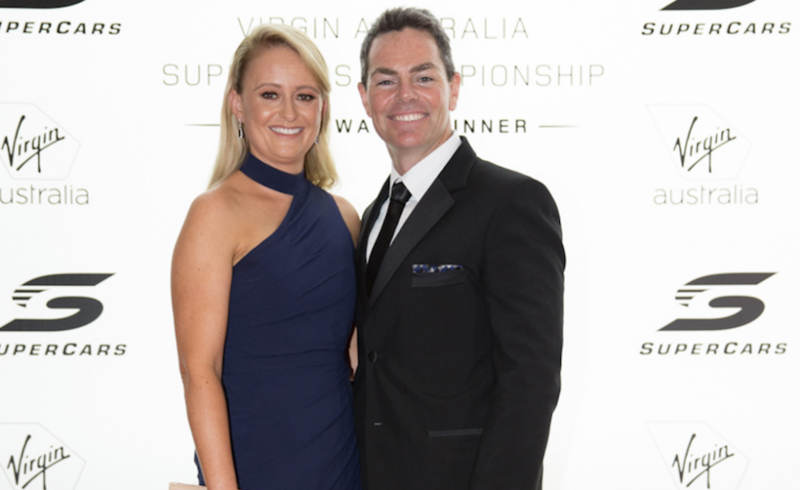 Although bowing out of a full-time drive, James Moffat and wife Leah could reflect on a milestone year that included the birth of their first child, Max. Tim Slade, with partner Dani Byrnes, had a successful end to his season, recording a second podium for the campaign on Saturday in Newcastle. David Reynolds, Michael Caruso, Will Davison, Scott Pye and James Courtney with musical act the Veronicas, Lisa and Jessica Origliasso. The Veronicas strutted their stuff on stage, performing at the Gala after also entertaining Friday night’s crowd at the Coates Hire Newcastle 500. 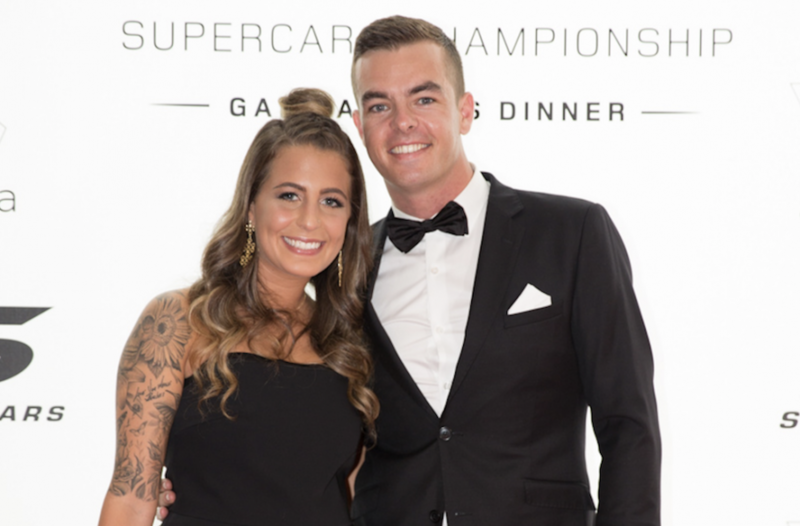 Accepting the Bathurst 1000 trophy alongside drivers David Reynolds and Luke Youlden, Erebus owner Betty Klimenko took the chance to share her unique view of the season. Jason Bright was recognised for his efforts in the category over the last 20 years following his retirement from full-time driving. 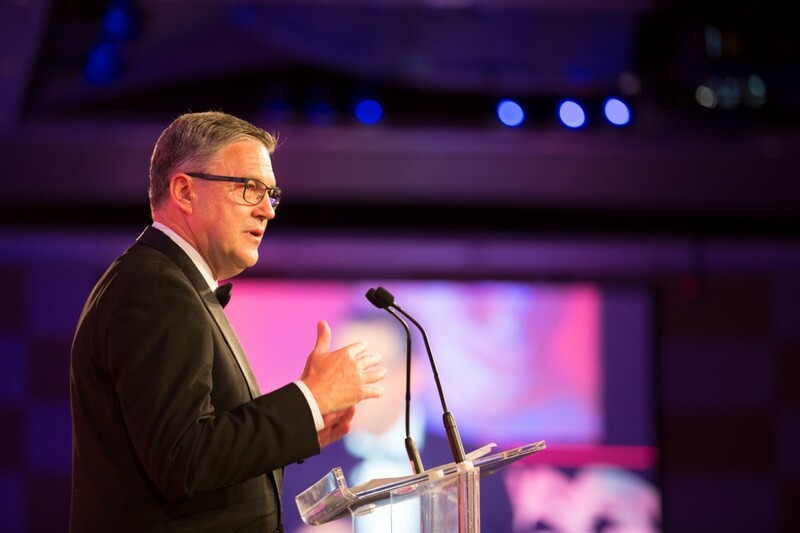 Fellow veteran retiree Todd Kelly likewise took to the stage, reflecting on his career and looking ahead to focusing on team ownership. 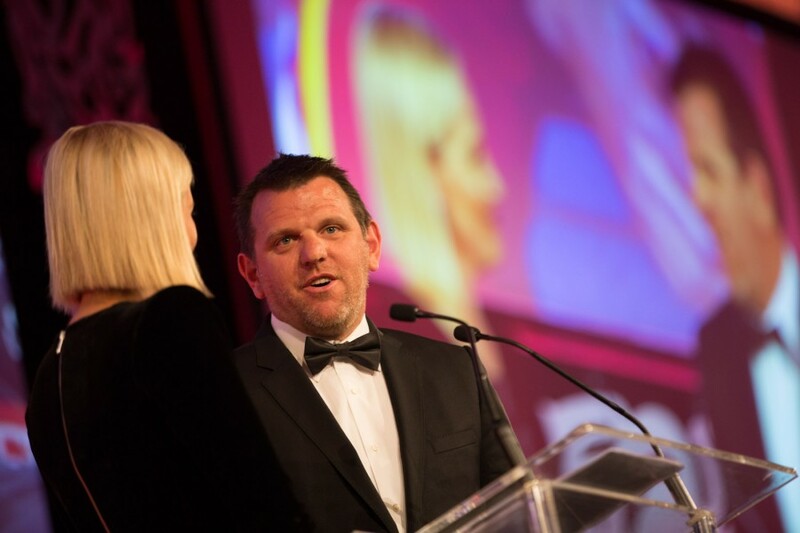 A humble Neil Crompton described being elevated to Hall of Fame status alongside the category’s all-time greats as “embarrassing”, as well as a great honour. 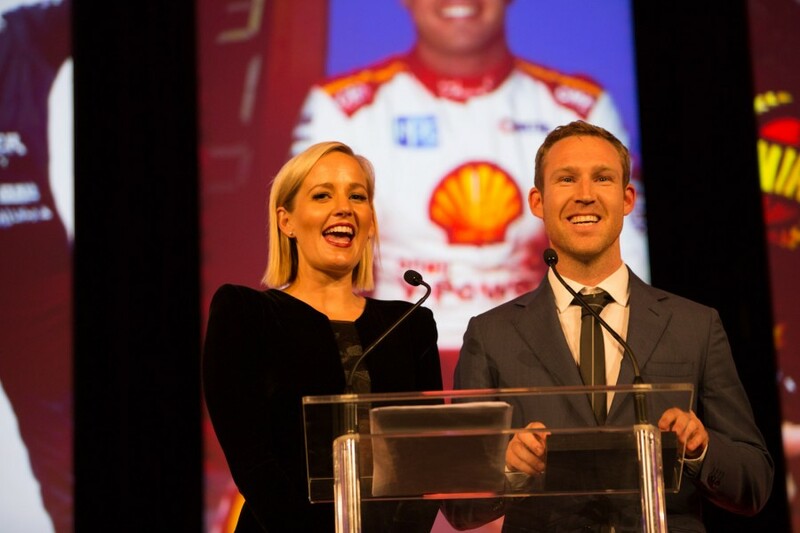 Barry Sheene Medallist David Reynolds had host Jess Yates, and the rest of the room, laughing along as he accepted one of the night’s biggest accolades. 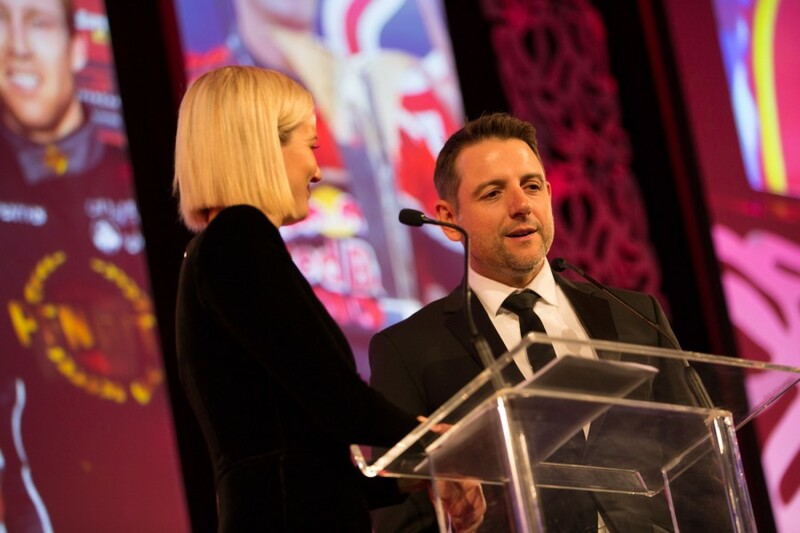 Having also picked up the Drivers' Driver Award, Jamie Whincup stunned the audience with his story of sacrifice that led to his seventh Supercars title.